7th World Tea & Coffee Expo® 2019 to be held on 21 – 23 Nov 2019 at Bombay Exhibition Centre, Goregaon East, Mumbai – India and will witness about 90+ exhibitors from 8 countries and a trade visitor base of 4000+ industry professionals from across India & abroad. • Industry leader Goodricke Tea becomes ‘Beverage Partner’ of WTCE 2017 Mumbai India in order to promote these vital sectors. Mumbai, India, October 16th, 2017 — With world class, exotic Tea brands under its belt, Goodricke Tea has associated itself with the 5th World Tea & Coffee Expo 2017 as “Beverage Partner”. The expo, being held from 16th Nov to 18th Nov 2017 at Bombay Exhibition Centre, Mumbai INDIA is the perfect platform for showcasing the entire range of its products to the industry. Visitors and Exhibitors will be able to access and taste the complete offerings of the 40-year old Tea giant at its specially crafted booth. The ‘Beverage Partner’ shall also get additional branding and promotion services from the organizers apart from making available only the partner’s Tea/Coffee at the Conference / Workshop area, VIP Lounge, B2B lounge etc. 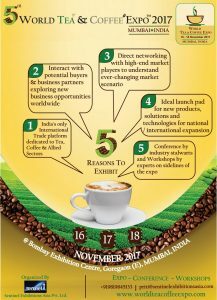 Globally recognized as a complete trade show for Tea, Coffee and allied sectors, the 2017 edition of WTCE shall witness about 80+ exhibitors from 6 countries showcasing latest Innovative Products, Machineries, Equipment, Packaging, Technologies, Vending Solutions, Flavours, Retail Chains, Sugar/Sweeteners, Certifications, Premixes, Government Boards, consultants, accessories and other technologies. 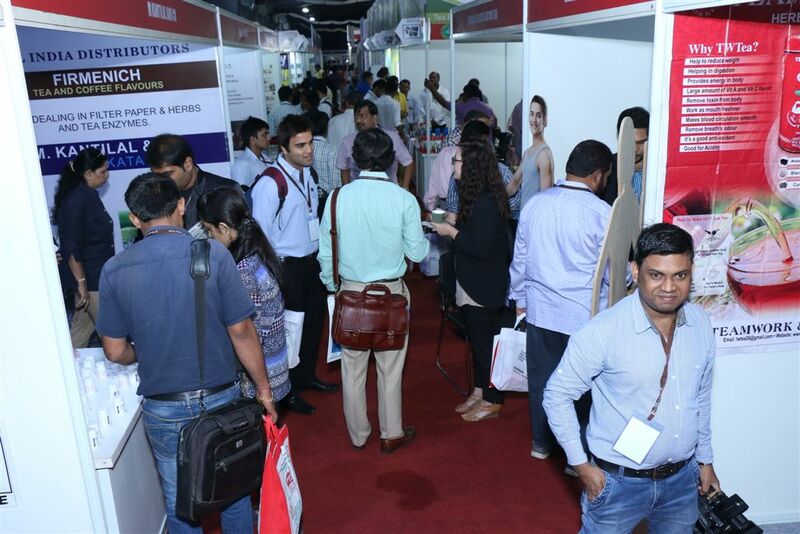 The 2016 edition had hosted 67 companies – including Pavilions from Tea Board of India and Sri Lanka Tea Board –showcasing their best to a buyer base of 3400+ comprising of Retailers, Wholesalers, Distributors, HoReCa professionals, hypermarkets/multi-product retail chains, Tea/Coffee Estate owners, Importers/Exporters, potential franchisees, purchase managers of medium-to-large offices etc. Goodricke Group Limited, headquartered in Kolkata, is a part of the Camellia PLC UK – the world’s second largest private sector tea producer. Goodricke Group Limited owns 30 gardens and 27 tea factories spread over Darjeeling, Dooars, Assam and Cachar. The major Darjeeling brands include Goodricke Castleton, Roasted and Margaret’s Hope First flush Tea. The CTC range includes tea’s such as Goodricke Khaass, Goodricke Chai and Goodricke Zabardust. Niche expos like WTCE bring global industry players closer, enable mega deals and smoothen the networking process amongst trade professionals.Having exhibited at the 2016 edition and having got good response, the company decided to play a larger role in the 2017 edition in view of the high potential offered by this unique expo. Goodricke Tea owns brands that are both, iconic and have a strong heritage value. Mumbai World Tea Coffee Expo, India’s only globally recognized trade fair for Tea, Coffee & Allied sectors being held from 16th – 18th Nov 2017 at Bombay Exhibition Centre, Goregaon (E), Mumbai, India. Mumbai, India, July 16th, 2017 — Mumbai World Tea Coffee Expo, India’s only globally recognized trade fair for Tea, Coffee & Allied sectors being held from 16th – 18th Nov 2017 at Bombay Exhibition Centre, Goregaon (E), Mumbai, India. The vision of World Tea Coffee Expo Mumbai India is to expand the Indian Beverage business by providing all sourcing requirements under one roof. * WTCE is the only International Trade platform in India exclusively dedicated to Tea, Coffee & Allied Sectors. * An excellent annual opportunity to interact with potential buyers & business partners for exploring new business opportunities worldwide. * Get in direct touch with high-end market players & understand the ever-changing consumer patterns minutely. * Conference by industry stalwarts and Workshops by experts on sidelines of the expo. * Ideal launch pad for new products, solutions and technologies especially for start-ups and SMEs who aspire for national / international expansion. WTCE is globally recognized at a complete trade show for Tea, Coffee and allied sectors, the three day annual event shall witness about 90+ exhibitors from 8 countries showcasing latest innovative products, machineries, equipment, packaging, technologies, vending solutions, flavours, Retail Chains, certifications, Premixes, and a visitor base of 4000+ industry professionals from across India & abroad. Supported by the Ministry of Commerce (Tea Board of India) and Global Associations, the 2017 edition shall have 3-4 country pavilions and International buying delegations from Dubai, Iran, Nepal, Vietnam, Sri Lanka, China, UK to name a few. This expo is the catalyst for companies to expand presence & get branded visibility in India as well as abroad. The show offers huge potential for franchising, marketing alliances, appointing Distributors, bulk orders, joint ventures and overall branding. The 5th edition shall have additional features like an upscale Display showcase, wider range of networking events, a special section for e-commerce companies, more educational content and speakers at Conference and interactive workshops – including tasting sessions – by some of the best Baristas/Trainers, Tea Sommeliers and Chefs. International destination of Mumbai gets the thumbs up as the right venue for this niche expo. 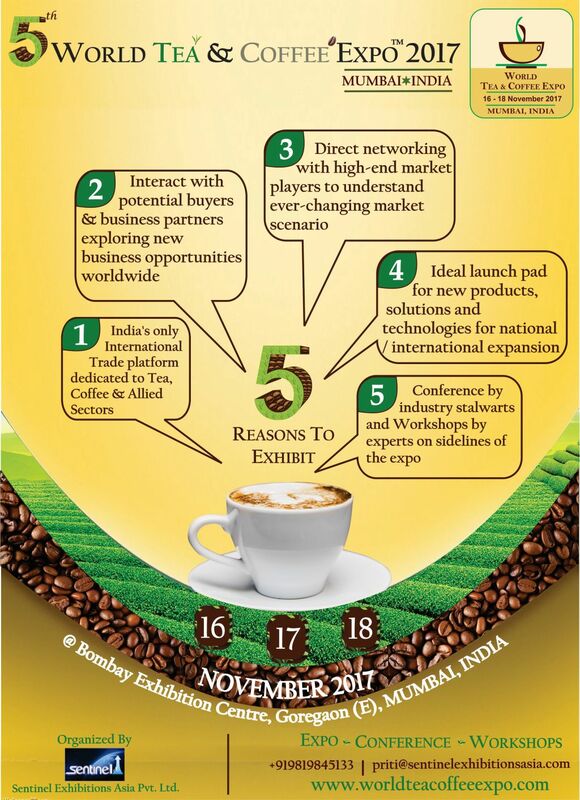 Mumbai, India, November 21st, 2016 — Giving a major impetus to the Tea, Coffee & Allied sectors, the 4th World Tea & Coffee Expo concluded successfully on 22nd Oct 2016 witnessing striking of bulk deals, joint ventures/alliances, franchise enquiries, appointment of marketing agents and generation of large number of business leads. 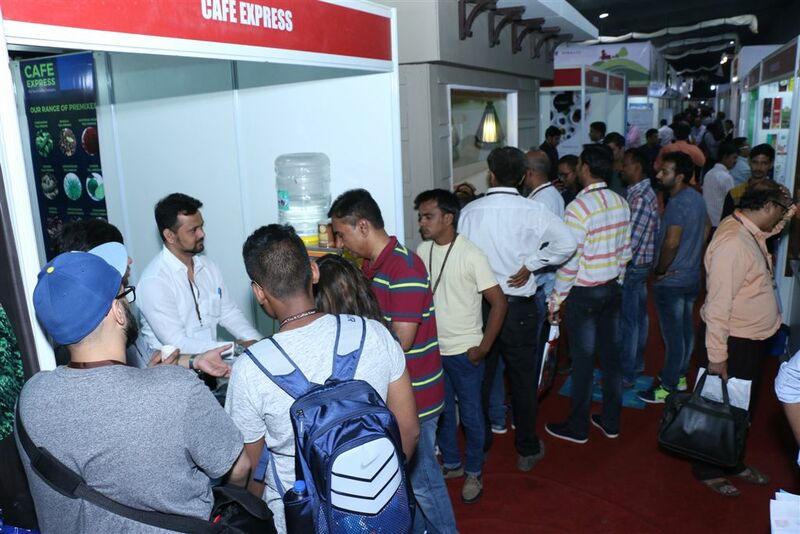 India’s only globally recognized tea and coffee show – www.worldteacoffeeexpo.com – was held at Mumbai from 20th – 22nd October 2016 and showcased innovative products, machineries, equipment, technologies, vending solutions etc from 67 companies to over 3400 decision makers visiting from countries like Russia, Singapore, Iran, USA, China, Sri Lanka, Nepal and UAE in addition to buyers from across India. Apart from India, companies from Italy, USA, China, UK, Saudi Arabia and Sri Lanka also participated as exhibitors. The 2016 edition had Pavilions from Tea Board of India and Sri Lanka Tea Board and also had a 2-day hi level conference discussing issues facing the sector and skill imparting workshops on last day. Visitors included senior level decision makers comprising of Retailers, Wholesalers, Distributors, hypermarkets/multi-product retail chains, Tea/Coffee Estate owners, potential franchisees, HoReCa sector professionals many of whom placed large orders with exhibitors. “Further to positive reviews from Exhibitors and visitors alike, the 5th Edition of the expo in 2017 is also planned to be held at Mumbai – the commercial capital of India and a centre which attracts serious buyers from all parts of the country and the globe.” said Ms Priti Kapadia, Director, Sentinel Exhibitions Asia Pvt. Ltd, the organizers of this unique trade show. The organizers are planning to make the 5th Edition of WTCE in 2017 much larger in terms of content and size and are likely to announce the dates very soon. Pavilions from Sri Lanka Tea Board and Tea Board of India to be an integral part of this niche event being held from 20th – 22nd Oct 2016 at Bombay exhibition centre, Goregaon East, Mumbai. 2-day Hi Level Conference plus Workshops on last day to determine trends, address issues related to the sector and impart skills. Mumbai, India, October 10th, 2016 — The “World Tea & Coffee Expo” is to be held for the 4th time at Bombay Exhibition Centre, Goregaon East, Mumbai from Thu 20th Oct to Sat 22nd Oct 2016. WTCE is a dedicated global trade event for the Tea, Coffee and allied sectors and consists of an Expo, a 2-day hi level conference and workshops. WTCE gives an opportunity to showcase products, services & technologies, network with focused buyers, upgrade knowledge and find practical solutions to issues faced by this vital sector. In addition to catering to a huge and growing domestic market, the Hot beverage segment is a major forex earner providing large scale employment opportunities especially to women. The Expo showcases the best that India has to offer as also makes accessible world class products and technologies to Indian businessmen. Says Priti Kapadia, Director, Sentinel Exhibitions Asia P Ltd, organizers of this unique Expo, “An integral part of the Expo is a High level, 2-day conference by Industry leaders, academicians and policy makers and also workshops by Tea & Coffee experts.” The conference covers diverse topics like Sustainability, GST impact, Design and Innovation especially in packaging and branding, changing prospects due to increasing cafe culture etc whereas the workshops shall impart skills on Tea Tasting, Coffee brewing, Coffee roasting, Tea/Coffee pairing etc.